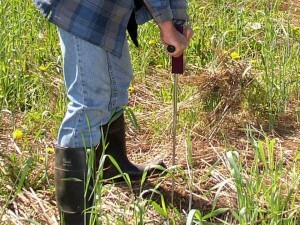 Assess compaction while you collect your soil samples. We have a field penetrometer (compaction tester) available to borrow for a one week loan. The umbrella sized instrument can be sent by mail if you provide a shipping address. 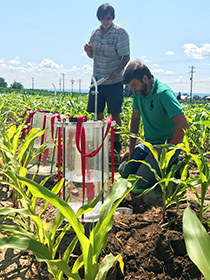 Instructions for use can be found in the Surface and subsurface hardness section of the Comprehensive Assessment of Soil Health – The Cornell Framework Manual.